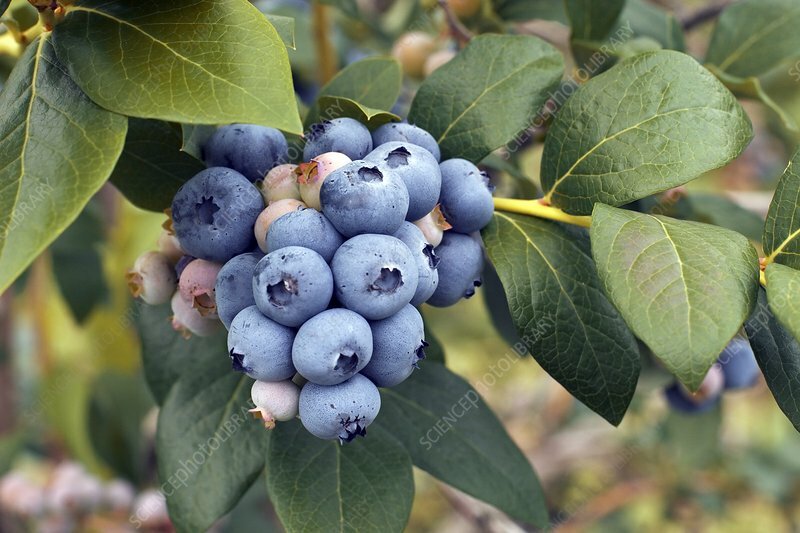 Blueberries (Vaccinium sp.) ripening on the bush. Photographed in Gobles, Michigan, USA.